PRODUCT: Powers #2896 1/4" I.D. x 1-1/8" O.D. 304 Stainless Steel Sealing Washer. EPDM Rubber Bonded to 20 Gauge 304 Stainless Steel Washer. 100/Bag. Price/Bag. 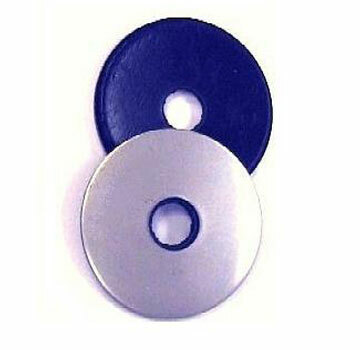 APPLICATIONS: EPDM bonded 304 Stainless Steel flashing and termination washers. Typically used with 1/4" diameter anchors / Spikes for roof flashing, termination bar and dissimilar metal applications.